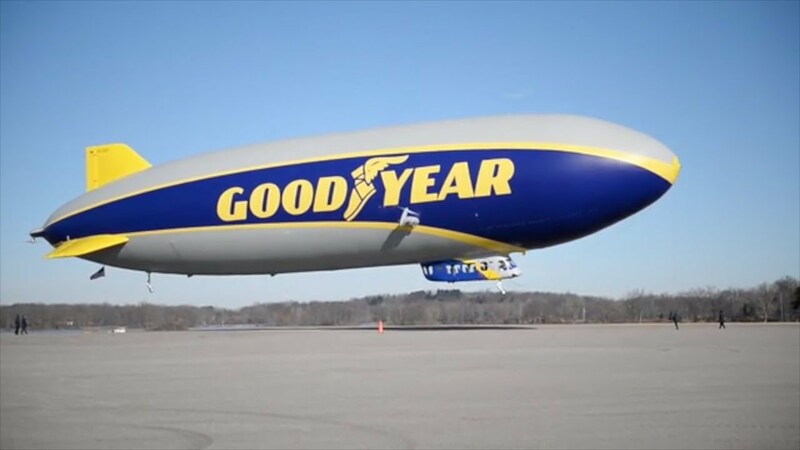 Leading tire manufacturer Goodyear’s renowned blimp has been made an honorary member of the College Football Hall of Fame in the United States. The Goodyear blimps, a fleet of nonrigid airships have been used from 1960 onwards by the company for extensive live aerial coverage of sports events like college football games, branding and promotional activities and have long been associated with college football games. The National Football Foundation and College Hall of Fame announced it will induct the Goodyear Blimp as an honorary member of the College Football Hall of Fame in view of the important role the blimp has played in adding to the excitement and enjoyment of football fans across the country. The College Football Hall of Fame now comprises 997 players, 217 coaches, and one blimp, making the blimp the first non-player or coach to be a member. The blimp was first used for aerial coverage of college football games when the National Football Foundation requested for its use during the 1955 Rose Bowl. The blimp went on to become synonymous with college football and over the past 64 years, has provided coverage of over 2,000 games. The use of the Goodyear blimp marked another first with the blimp becoming the first to deliver high definition live video to a national sports game. There will now be a new exhibit at the College Football Hall of Fame in Atlanta that football fans can visit to see and learn more about everything related to the blimp including historical blimp artifacts, video footage and pictures. “I’ve been lucky enough to both play and broadcast underneath the shadow of one of sports’ biggest icons, and each time it’s special,” said ESPN analyst and former Ohio State quarterback Kirk Herbstreit.